We love a challenge. When a client says, “I don’t know whether this is something you can help us with, but…”, we jump at the chance! 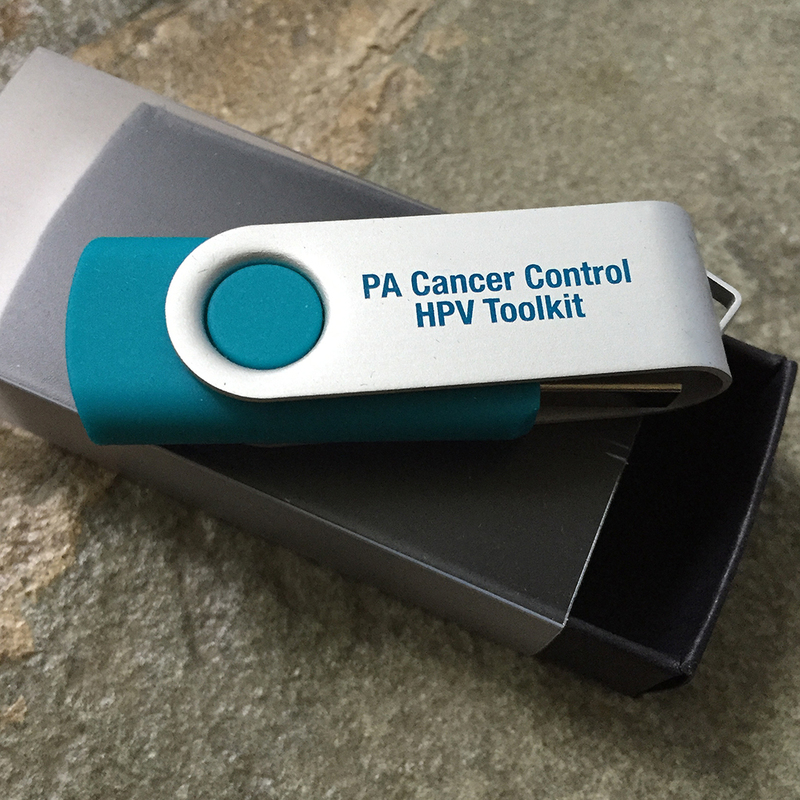 Recently, our client at the Division of Cancer Prevention and Control of the PA Department of Health called with just such a request. They needed some educational material they had developed for a conference loaded on to a USB drive—350 drives, to be exact, and the turnaround time was less than a week. We rallied our resources and delivered! Not only was the delivery on time, but we also imprinted each USB drive with a custom logo and had them individually packaged. So if you ever find yourself wondering whether there is any way possible to do the seemingly impossible…give us a call! Comments Off on Sure, we can do that!